Get him whatever it is they drink, uh, coke-a-rama? PAUL: Hullo Lads. Just met a couple of London fellas. They call themselves 101 Films and apparently they’re going to do a podcast on our picture, A Hard Day’s Night! RINGO: What’s a podcast when it’s at home then? JOHN: Well it’s the same thing when it’s at home as when it’s at work. A waste of bleedin’ time. PAUL: Ah c’mon John, don’t be a drag. They’re going to talk about our film and how’s it’s influenced everything from the Monkees to music videos to Spice World: The Movie. JOHN: You’d have to be under the influence to watch Spice World: The Movie. Forget all that nonsense, did they like it? JOHN: I’ve heard about the one with the ears. He only likes films with geese running around and people falling in manure. RINGO: Oh. I’m all depressed now. PAUL: Now Lads, don’t be soft. How about a song to cheer us up? 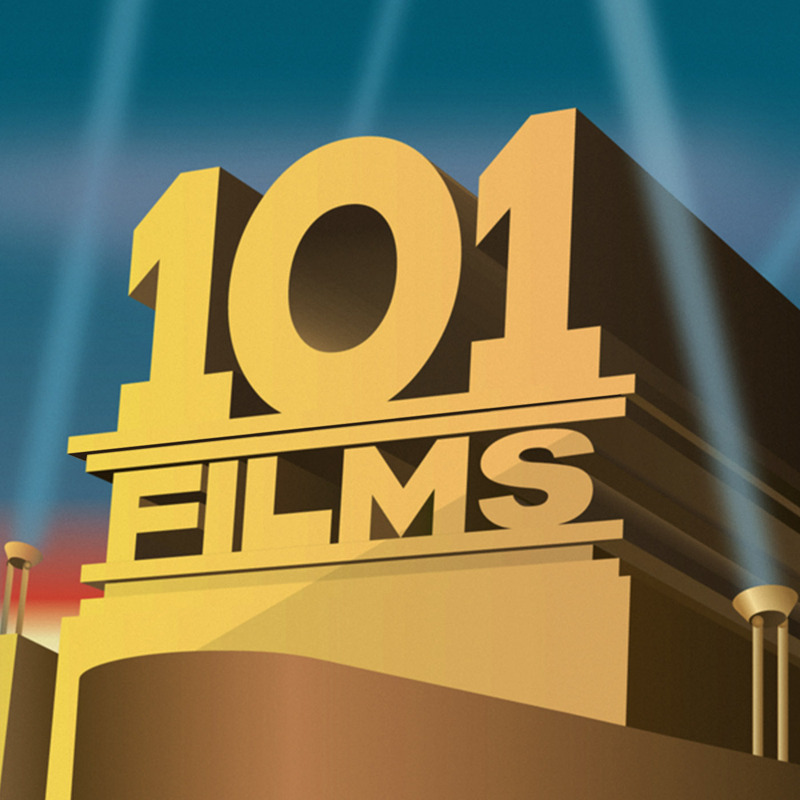 We’re back with a new recording studio (‘Studio A’ or ‘Lewis’s Bedroom’ to everyone else) and a new episode of 101 Films You Should Have Seen (Probably). 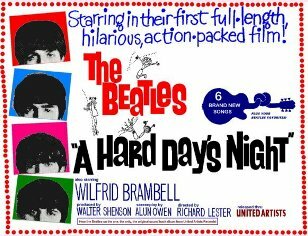 As you’ve probably guessed from the above (or been horribly confused) 101 Films has turned its collective lazy eye to 1964’s A Hard Day’s Night. I’ve been a Beatles fan for many years but I must admit I was never all that interested in watching the films. I had seen Yellow Submarine when I was kid (undergoing essentially an LSD trip at the age of 7) but that was obviously long before I really understood what the Beatles were. I suppose I thought A Hard Day’s Night would just be some cheap and cheesy Beatlemania cash in, a Beatles version of those mediocre films Elvis was forced to churn out in the 50s and 60s. A Hard Day’s Night is a bit more interesting though. Yes, it was obviously made quickly, and despite their obvious charisma and charm none of the Beatles are particularly good actors. But what it does do is *feel* like a Beatles film. It isn’t just a random film with the Beatles awkwardly crowbarred in. A Hard Day’s Night is crafted around them. They play themselves, they are not in a (too) fantastical situation and, most importantly, the script, by Liverpool playwright Alun Owen, successfully captures their banter and the essence of each of their characters.